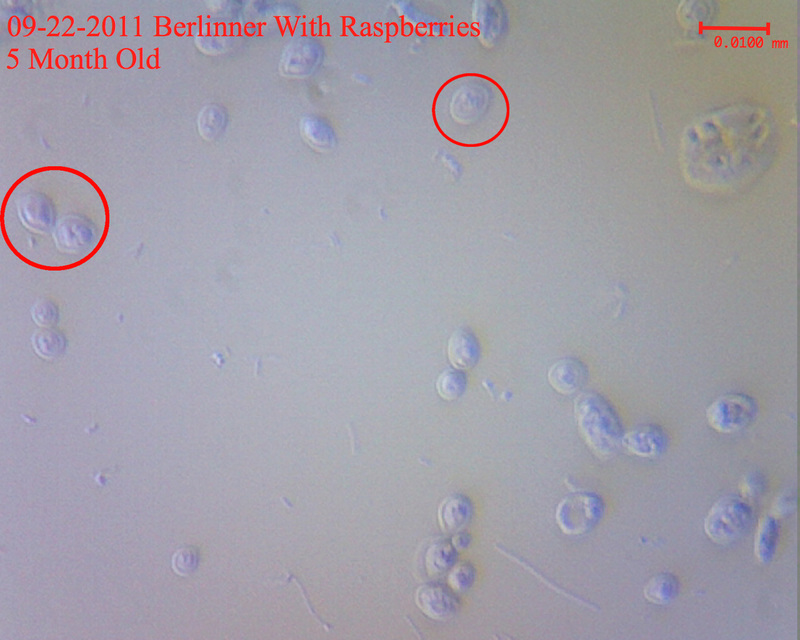 So over the weekend I decided to try staining some samples from my Berliner Weisse carboys. What I really wanted to see was how gram staining would affect the ascospore visibility as I read that the spores themselves would appear negative while the vegetative cell would be positive. I also wanted to try Methylene Blue and Eosin Y stains just to see what the Brettanomyces and whatever else is there would look like. Sounds exciting, right? First, the cells shrunk due to heat fixation. Second, the sample quality was horrible. I don’t know why, but all four slides looked bad and there was barely anything worth looking at. Third, as a result, the pictures I took also looked horrible. 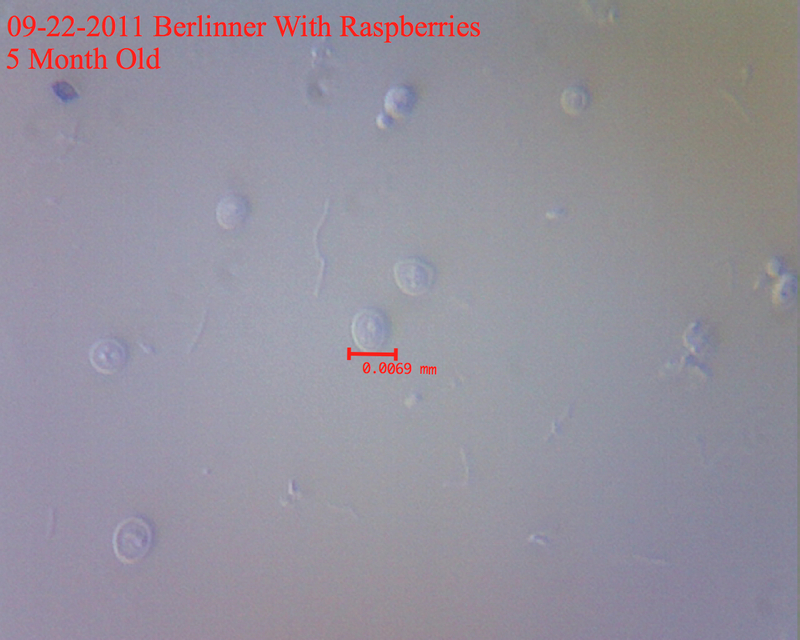 Fourth, I really couldn’t find any Saccharomyces in the Raspberry Berliner. It’s been barely a week since I stirred up the cake and it seems that there really isn’t anything left for them to ferment because they all appear to have just dropped down to the bottom like a rock. Some Brett came up though and is hanging around the top. 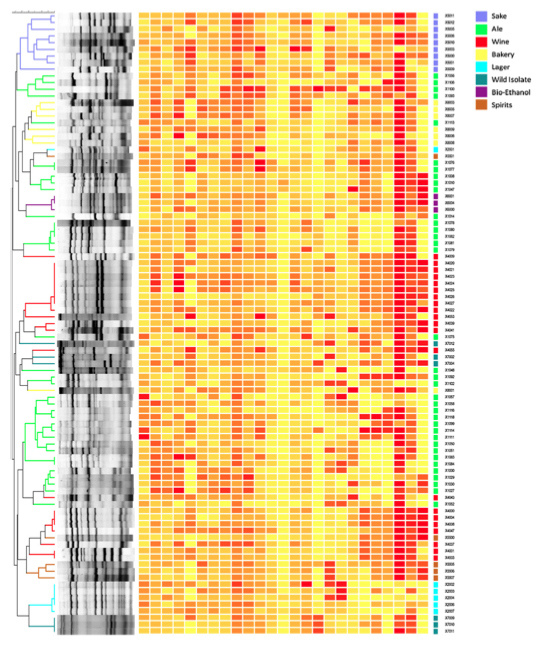 What is really encouraging is that I did not see any Acetobacter. 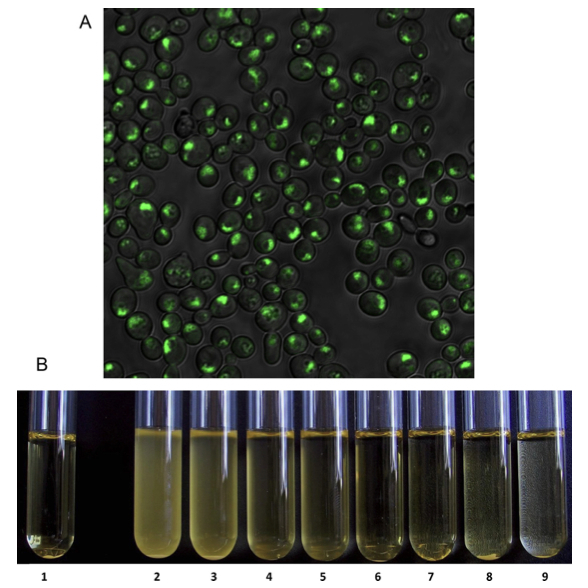 Now I haven’t looked at a pure culture, but I know they’re gram negative and relatively big. I’m a bit paranoid about this no boil brew turning vinegary on me as it’s something I just CAN’T STAND in my beer. There are hints of vinegar in the taste that are most likely contributed by the Brettanomyces, and that OK. Just so long as I don’t end up popping open a bottle of malt vinegar in a year. 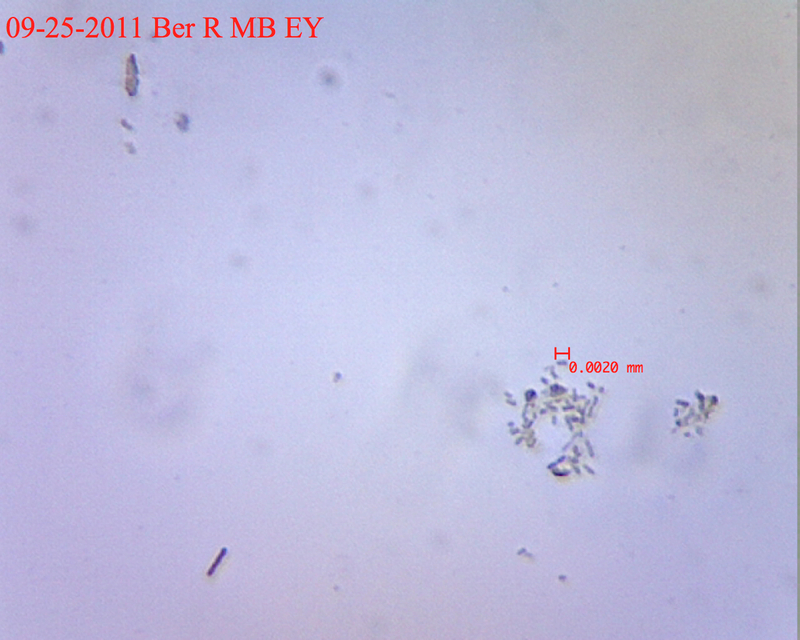 Anyway, I didn’t see any gram negative bacteria that resemble Acetobacter to me. In fact, I couldn’t see any gram negatives there and that is generally a good thing since they tend to be not the friendliest of microorganisms. 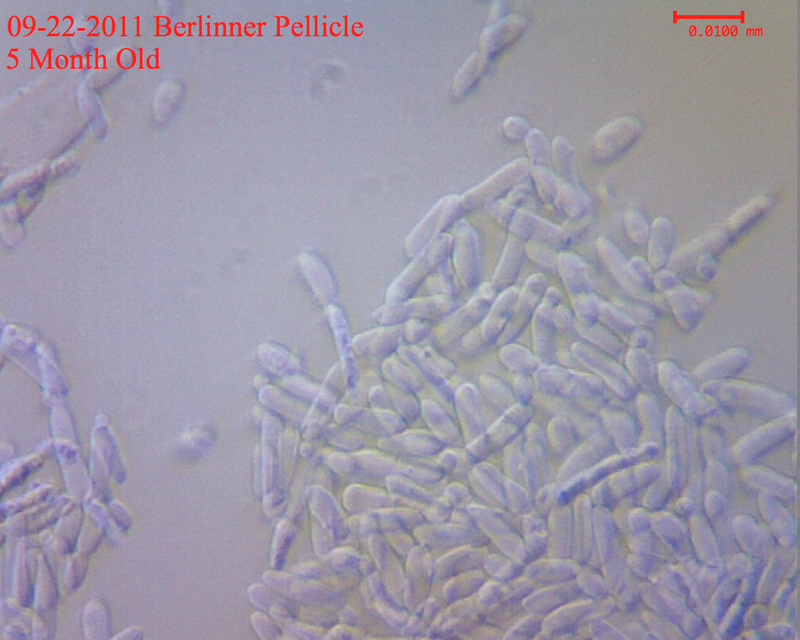 There were some gram positives that looked like they could be Lactobacilli which is expected and encouraged in this style. Anyway, the pictures are horrible, and I haven’t actually stained a sample in something like 6 years since I kind of work in a slightly different direction. Hopefully my technique will get better with time, resulting in better quality pictures. 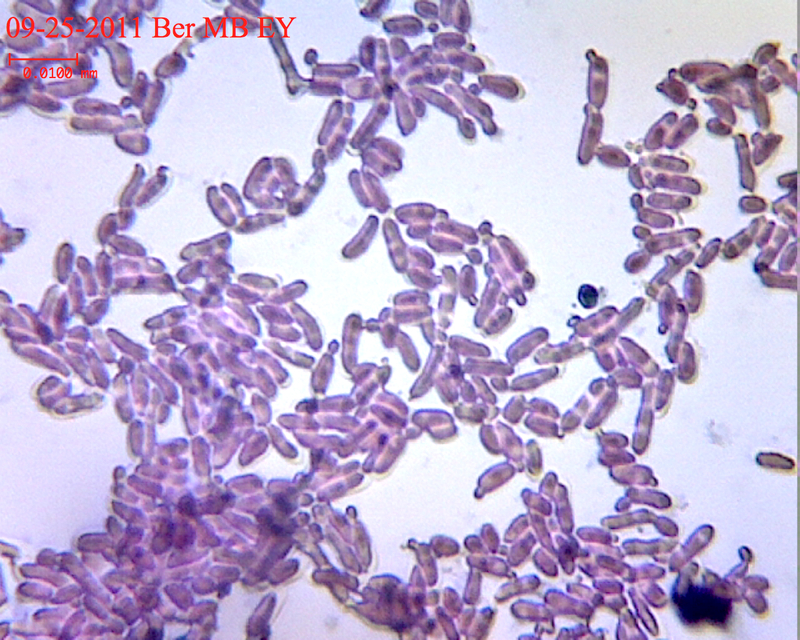 Gram stain of the plain Berliner. You can see the Brett, some Sacch, and what looks like Lacto. 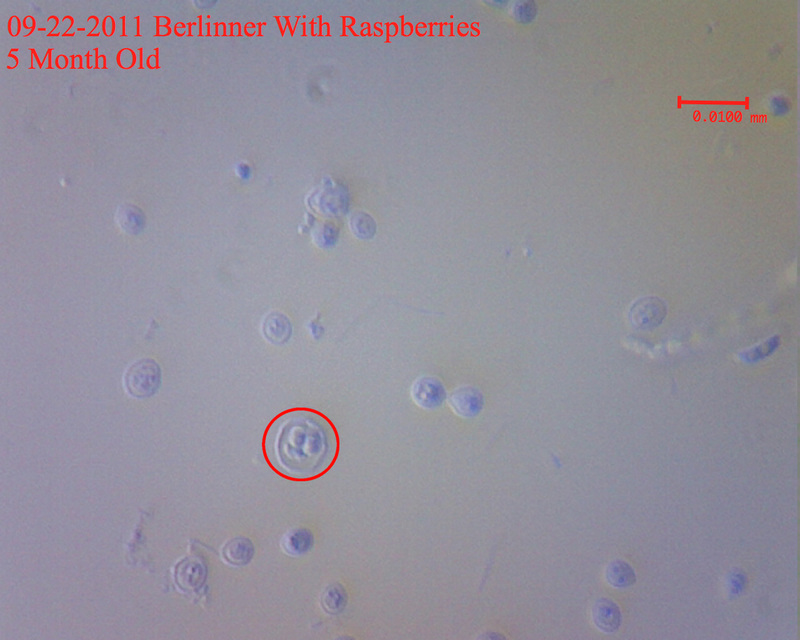 Methylene Blue and Eosin Y stain of Raspberry Berliner. 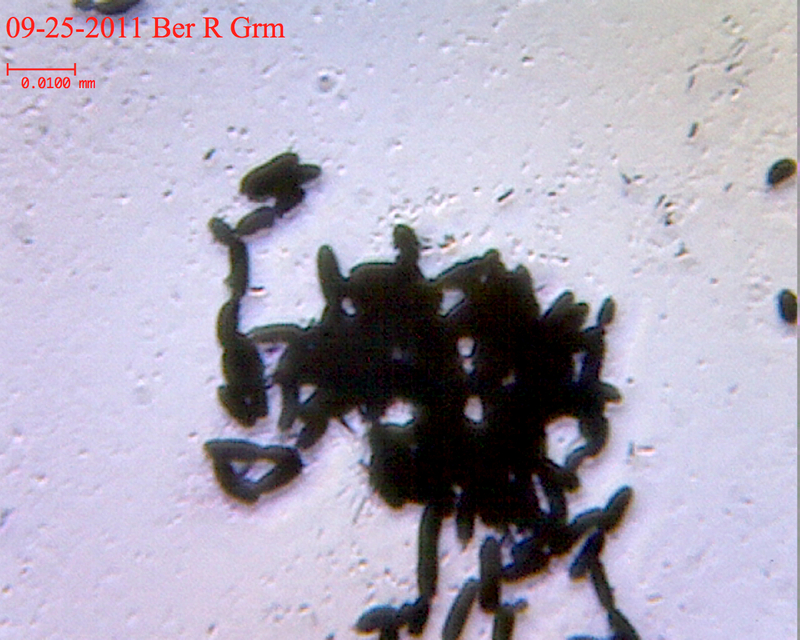 A group of some bacteria, possibly Lacto.